Bosko & Honey's Ukulele Safari 2008 is a series of videos being uploaded to our YouTube channel and posted here which are the result of meetings with ukulele players (amateur and professional alike) around the world. We recorded Songs and Interviews with ukulele enthusiasts, performers, collectors and makers... and also documented the Festivals and ukulele events we attended. Over a period of 11 months we travelled from Australia to Japan, the USA, the UK and Europe - including Finland, Austria, Greece, Italy, France, Belgium, The Netherlands and Germany. 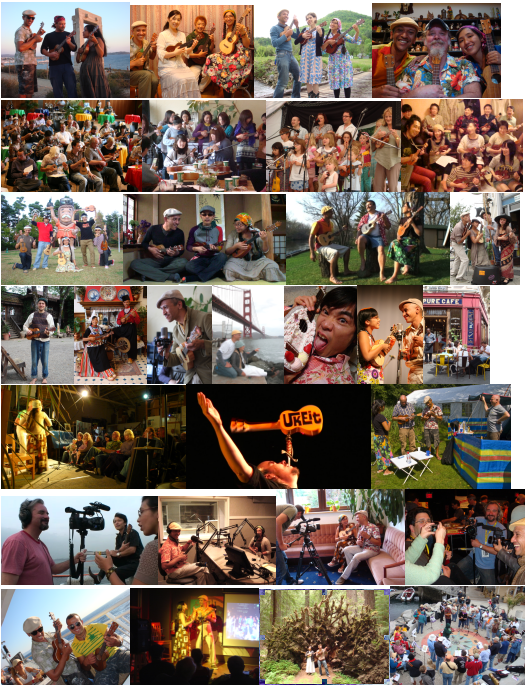 We attended and documented Ukulele Festivals in New York (New York Uke Fest 2007 and 2008), Italy (Vicenza 2008), the UK (Hollesley 2008) and Germany (Gross-Umstadt 2008), as well as visiting dozens of ukulele clubs and groups around the world. 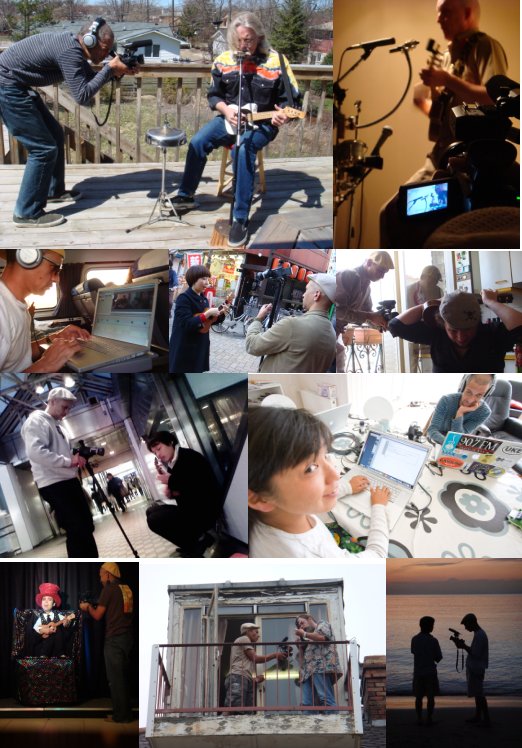 Another project we started in 2008 is Ukulele Music Video, where we shoot and edit video clips for other ukulele performers. The Safari was funded primarily through our personal savings, and would not have been possible if it weren't for the support we received from our hosts at each destination... especially in terms of accommodation. We are eternally grateful for this and all the other forms of support and encouragement we received on the road! SUNDAY 7th of DECEMBER 2008 - Return to Kuranda, Australia!!!! We'll be updating the completed journey soon!